Many property owners associate alarms with intruders, but that leaves out alarms that protect against accidents, such as fire alarms, and water leak alarms. 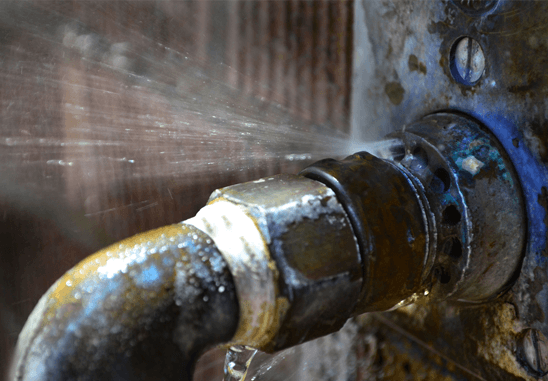 Water leak detection also plays a vital role in a complete security solution. Water damage occurs as a result of a variety of events including a washing machine hose that splits, pipes that freeze and burst, an overflowing toilet, or a water heater that fails. 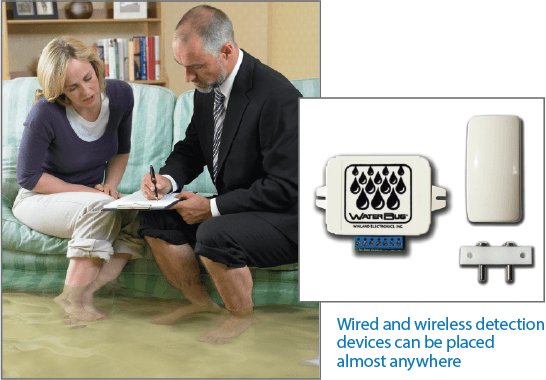 The purpose of a water leak detector is to provide an early warning of a leak, which enables you to stop the water at the source or call for professional help. Water leak detectors are inexpensive additions to an existing security system. However, they can save a property owner from a host of expensive issues. These detectors are extremely useful for areas that are not in the line of site or frequently visited. For example, a burst pipe in a vacation home could leak for days before the owner is made aware. In commercial applications, the damage could be much more significant. In multi-tenant locations, a cascading effect might occur when an overflowing sink ends up causing damage to several floors. Receive early warning of water leaks before they become an issue. Call 1.800.446.7519 to protect your home or business.